DJ TAMA a.k.a. SPC FINEST, based on Sapporo, has been the bridge among the all kinds of race. His absolute play style is formed by covering old school to mainstream top 40, underground HIP HOP or Japanese rap as well as choices of sampling sources from Rare Groove, Jazz, Funk, Soul, Rock, R&B, Reggae and Electro. Mix of the old and new, also straddling multiple genre of music, TAMA created the danceable sound to make crowd go wild. This known fact led him being the starring of any event. His ultimate value is his ability of reading the mood and instantly react by what to play. For instance, as a Battle DJ, he has some incredible skills represented by well-conncected set which made him win a Japan Battleship, and other world-known turntablists has been paying attention to TAMA in the result. As a DJ at Nation-Wide Dance Contest, his fingers naturally becomes a story teller, chapter starts from Break Beats era, at Reggae Dance, crossing over HIP HOP spontaneously. At Electro Party, he shows range of catalog from current party anthem mixed with all kinds of genre turn into Electro. TAMA shared stage with KITSUNE、Steve Aoki, Busy P of Ed Banger, just to name a few. His HIP HOP set? You already know what it is. No words are needed. His hive of activity spread from club to daily show at radio and MIX CD. Also as a member of S.P.C., along with DJ SEIJI and KAZMANIAC, they’ve widely expanded their job description including making productions and remix. DJ TAMA has started his DJ career back in 1992. STRIVER’Z RAW, TAMA’s unit with B.I.G. JOE（Mic Jack Production） shared stages with GANGSTARR, RUN DMC, Microphone Pager and just to name a few. Also, they’ve won one of the most prestige reggae contest hosted by heavyweight reggae artist RANKIN TAXI. TAMA has been DJing at the clubs based in Sapporo, now earned his spot on Battle podium regularly as well as ratchet up his popularity as MIXTAPE MASTER. SInce 1999, TAMA and DJ SEIJI teamed up as S.P.C. and debut from major record label PONY CANYON. In the same year, he showed his commanding skills at biggest Japanese B-BOY event, B-BOY PARK and won the Japan championship. Being 4 time finalist of DMC-JAPAN, TAMA’s name value pumped up as Battle DJ nation wide. After that, he’s stretched his production and remix work from major acts like CRYSTAL KAY and PE’Z to underground artists. In 2006, TAMA’s first solo album “Melting Pod” featuring HUNGER (of GAGLE), TARO SOUL, SONOMI etc…was finally released and in following year, he collaborated with his brothers from another mother INGA LAND to drop an album named “LOVE MY BLOCK”. His Official MIXCD project “HIP HOP BLOCK BUSTERS HOKKAIDO” which was combined with 42 local chosen artists, would be the tools for people to feel the real vibe in North side. After having Japan Tour (total 14 cities) and Hokkaido Tour (total 11 venues) in 2008, TAMA successfully achieved his third time TOKYO tour as officially becoming a headliner for major clubs like SHIBUYA nuts, VUENOS, 27 Destiny, FLOWER etc… In December of that year, TAMA was selected to open for leaders of French Electro, Kitsune on their Japan Tour. In 2009, TAMA’s first Asian Tour took place along with KANTO and KYUSHU Tour in Japan. 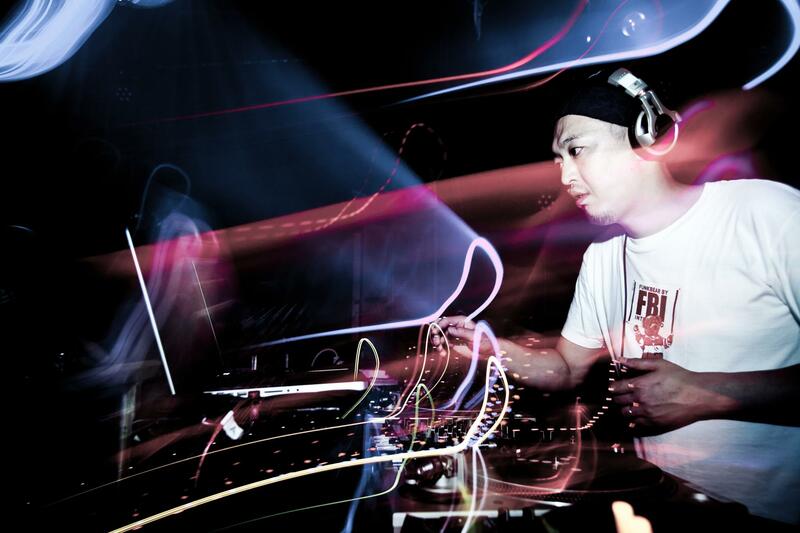 He was the very first Japanese headliner for the club in Thailand, which was where all the top ranked DJs like DJ PREMIER or Q-BERT was starring in the past. In December of the same year, TAMA extended his tour to LA and NYC, flew to Korea for New Year’s Countdown Party sharing stage with BUSY P, the founder of Ed Banger Records and the manager of DAFT PUNK and JUSTICE. This experience has given more popularity to TAMA from Electro fans. TAMA is based in Sapporo, the local city of Japan, however, his DJ field is expanding wold-widly and always searching for new possibilities. You can highly anticipate TAMA a.k.a. SPC FINEST’s unexpected next move and deeply recommend to join his musical journey.